• What types of content will best attract our target audience to our social media pages? • How can we make that content more “spreadable”? • What content will best optimize our website for search engines? • How can we start and manage a social media community? • Which media companies, bloggers, and social media influencers will make the best partnerships for us? 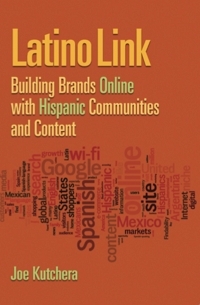 • What types of candidates should we consider to manage Latin American and Hispanic social media marketing? And where can we find the best candidates? • How do we best integrate our events, in-store activities and offline marketing with our digital/social marketing activity? With that quote in mind, we work with companies to help them tell their story more effectively, crafting website copy and navigation as well as social media editorial strategies. We research which keywords generate the most interest in a set of products or services. We leverage digital analytics to understand which referring websites and social networks generate the most traffic. We define the “personas” of our clients in our marketing plans. We uncover communities of people passionate about our clients’ products and services. We craft their stories using text, photos and video online. We make sure digital channels tell the same story as the offline channels (and vice versa). And we set up ROI metrics to ensure that our marketing efforts deliver results. We use our trademarked 5-step E-X-I-T-O consulting services, which spells the word “success” in Spanish, to develop your market entry, talent acquisition, and marketing plan. This enables your company to understand your Spanish/Portuguese-speaking audience as well as figure out how to best attract and engage them. Read more about our 5-step E-X-I-T-O consulting services. Joe Kutchera served as our “Sherpa” in guiding us through our website development and monetization plan. He put together our website revenue forecast, traffic growth projections, and online advertising sales presentation. He also helped us evaluate vendors for our website redesign, campaign management solutions, and website producers. It’s been a pleasure to work with Joe. He has been a real asset to our team. Contact us to set up a one-hour session to discuss your needs. 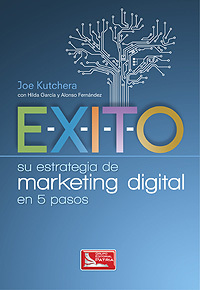 Click here to get a free sample chapter of É-X-I-T-O: su estrategia de marketing digital en 5 pasos.